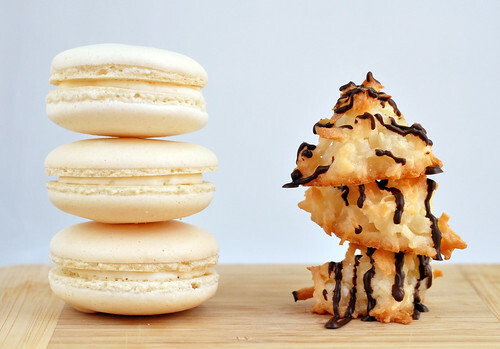 "What's the difference between this macaron and the other macaroon?" The post on Cake Spy gives a pretty good answer. What I want to do in this post is highlight some similarities and differences between the two in terms of making them and of course, the delight of eating them. It's SUPER Easy to Make - When the steps to make it can be boiled down to about 3 steps, it's as easy as baking gets. It Gets Stale Pretty Fast - It's the best the day that you bake it. With each hour it gets softer and loses that crunchiness that makes it so irresistible. 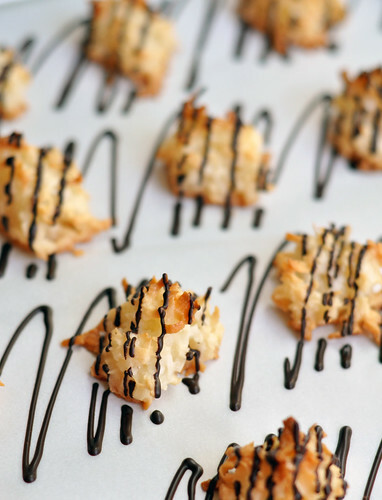 It Will Always Be Coconut Flavored - There's really no substitution with the coconut macaroons. Unless you make almond macaroons.. which I don't have a good recipe for. But I'm just fine with coconut. It Tastes Great Even After a Week - French macarons are often best the day after it's made and it's had time to rest in the refrigerator at least overnight. Why?? I have no idea. Flavor Combinations are Limitless - With some food coloring and extracts, you can make any kind of macarons you's like. Anything from plain vanilla (I think my favorite) to Passion Fruit to Chocolate. They're Tricky to Make Well - I'm still trying to figure this one out. I'll let you know once I figure something out. 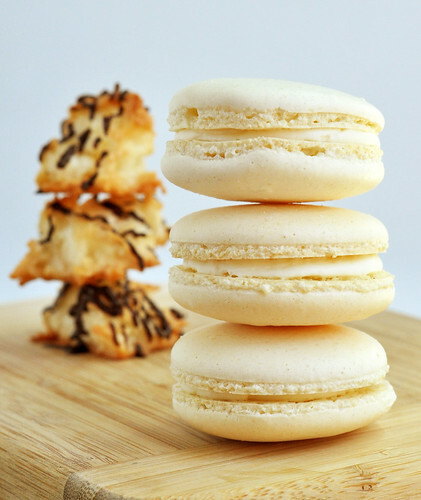 They Can Be Very Labor Intensive - Piping bags, food processor, making meringue.. correctly, opening and shutting the oven, making the filling ahead of time... it's a lot of work compared to the simple process of the coconut macaroons. Both Made with Egg Whites - Interesting commonality as they turn out so completely different. They're Both Friggin' Delicious - Sometimes I can't stop eating them. And it's true of anyone I give them to. Not necessarily an exhaustive list of similarities and differences but just some notes I've made to myself. Both are lovely! I'd gladly take one of each! 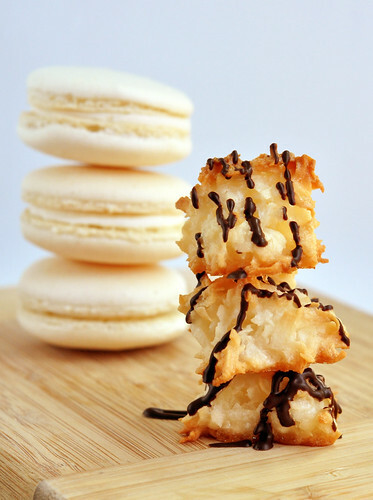 Are the coconut macaroons made with almond flour like the French macarons? 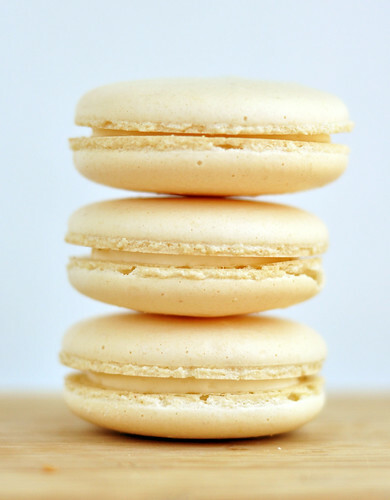 Many of the French macarons are gluten free, meaning I can actually eat them!